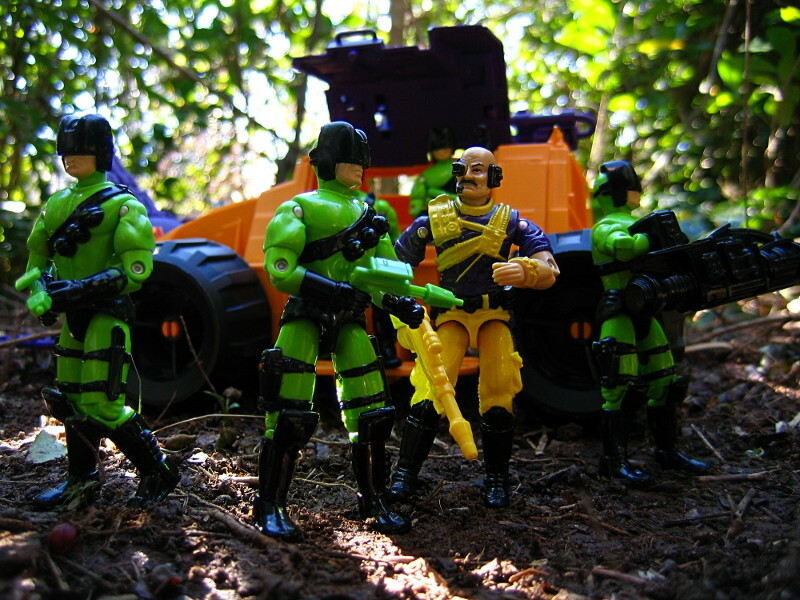 Description: Mindbender conducts a weapon test with the recently formed next gen HEAT Viper troops. Really trying to enjoy more contemporary 90's items in photos lately. There's something different and oddly gratifying about showcasing so much neon with disregard to it's realism. This is my favorite look for Mindbender. I’m not a fan of his ‘86 design (although the cape was rad). I’ve actually done a bash before where I put his V1 “pants” with this torso & head for even MORE purple- which helps in my mind to tie him even closer to Techno & Tele vipers. Great all around figures/vehicle pairings here! Great shot, and I liked your review of this figure. I think the bright neon figures can work, but they need to be used together.